This email address has been scripted to prevent it being harvested for spam. If you can't see it, it has been blocked by your browser - allow active content. GoldReverre is the verre églomisé studio of Bruce Jackson. 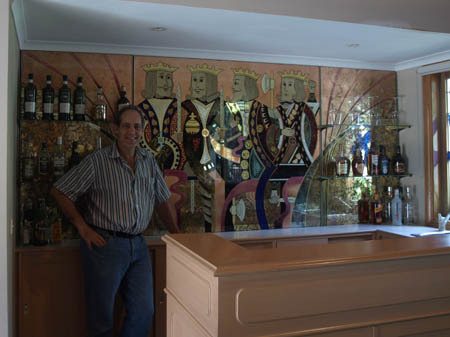 Having made a speciality of gilding from his background in signwriting, he formed the business specifically to develop the use of verre églomisé for architectural and decorative applications. Bruce began signwriting in the early 1980's. After several years developing his brush skills doing hand-lettering, he began to focus more on pictorial work. He has painted advertising illustrations, murals, scenic backdrops and also experimented with many painting techniques. In the early 90's, he also regularly painted large banners for the Victorian Arts Centre which were up to 70 square metres. 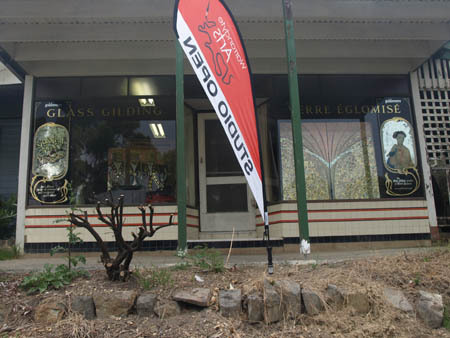 These banners, hung from the main building to promote the current theatre production, often contained complex designs and pictures. 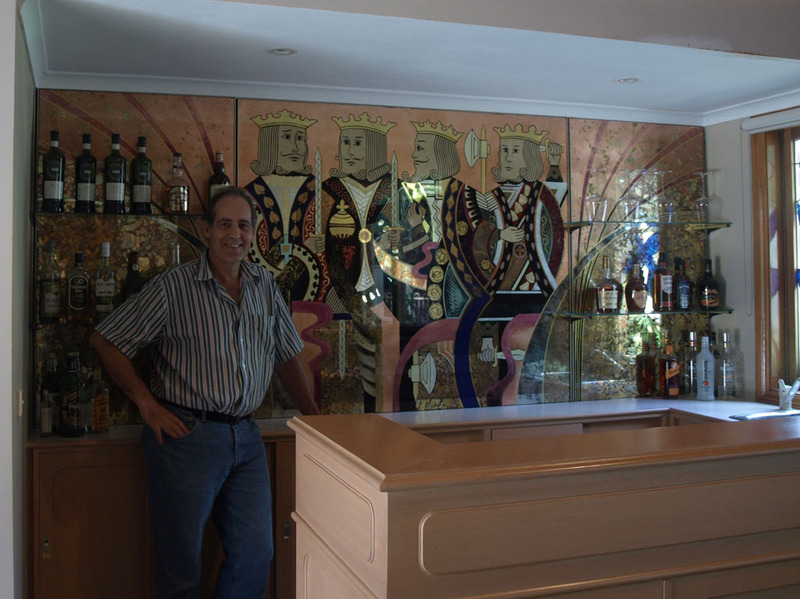 He has been doing gold leaf signwriting, such as honour boards, all through these years and this led to more specialized work doing gilding and reverse painting on glass. Since the mid 90's, this type of work has become his main speciality. He has written training material, given lectures and continues to learn more about verre églomisé and it's history.